Big dinner party planned? Extended family arriving for Christmas lunch? It always pays to have a few spare chairs to incorporate into your existing setting, but it can be hard to make your spare chairs look stylish. Verity Magdalino tells us how to create a mixed look that really works. Visit today's sale event for seating solutions for every table, including genuine French Tolix chairs in classic white. The mismatched look is a huge trend, and if you love this look you'll enjoy our new Pinterest board - Mismatched Magic, which includes all these images and lots more inspiration. 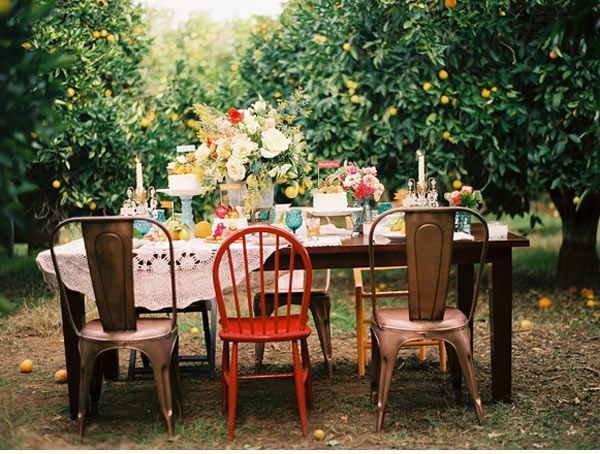 Firstly don’t be concerned if you can’t find any chairs to match your existing dining setting. The secret, as you can see from our images below, is all in the mix. To make your spare chairs look like they belong, find a unifying element to tie them in with the chairs you already have. This could be the colour scheme, what the chairs are made of, such as wood or metal, or by using a simple styling solution, such as a ribbon, name tag or Christmas decoration on the back of each chair. Geoff also advises to have symmetrical placements so pairs of the same chair are placed opposite each other, or every second chair is different. 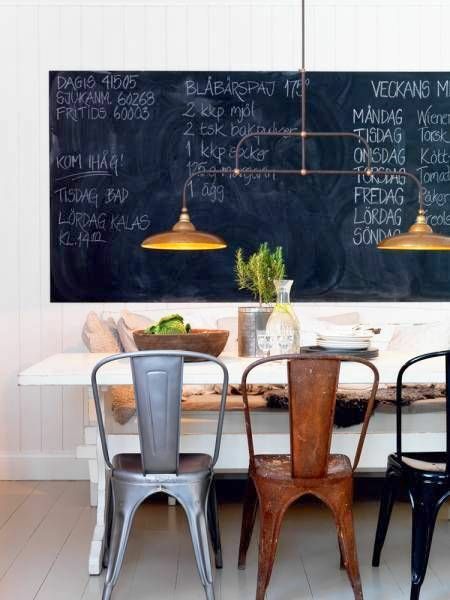 Don’t be afraid to mix chairs and stools or vintage with contemporary. If your walls are white, pick up a few white stools to bring the look together. If you have the time, you can paint all your chairs the same colour. We particularly love the effect of using very different looking chairs in the same finish, such as natural wood. Invest for future events and buy a piece of design history, such as our pick from today’s sale event – the Model A Tolix chair. Created in 1934 by Frenchman Xavier Pauchard who pioneered galvanization - a process which protects sheet metal from rusting - the design was tweaked in the 1950s for use in cafes so you could stack up to 25 chairs together. The result was a worldwide hit not only in restaurants but offices, factories and hospitals. Apart from the practicality of the Tolix chair its appealing industrial aesthetic has seen it become a feature in museum collections from MOMA in New York to the Pompidou Center in Paris. The original natural steel or red chairs are now available in a rainbow of around 50 colours, including the classic white chair we’re pleased to include in today's sale event. Inspired? Get in the mix with our Spare Chair Solutions sale event - and don't miss the Model A chair by Tolix.